Print journal submissions open July 15, 2018. We accept submissions for Places to Stand year-round. ​We are excited to announce our special edition for Issue 13. We will be featuring ekphrastic written pieces about Florida postcards. These postcards are posted on our Submittable account. Please look through the selection of postcards and submit written work inspired by this art (creative nonfiction, fiction, and poetry). There will be only one written ekphrastic piece accepted per postcard. The postcard selection can be found at: http://sawpalm.dropmark.com/559025. For art, comics, and photography, the work will be published and formatted as a postcard within our issue. Please submit art, comics, and photography that you think best represents Florida lives, landscapes, and tropes. For queries or questions not answered here or below, please email sawpalmeditors@gmail.com. We accept up to five submissions of art or photography per reading period. Please send files in .jpeg / .jpg format only. You may also include a URL if a portfolio of your work is online. We understand that visual art is often published on personal websites, but we ask that your submissions have not been previously featured in literary magazines. We welcome comics submissions of up to seven pages, whether in black & white, greyscale, or full color. Submit in .jpeg / .jpg format only. Keep in mind that the journal's dimensions are smaller (5"x7") than the average literary journal and so comics with small panels filled with intricate art are not well-suited. Memoir and essay submissions should be no longer than 6,000 words. We accept up to three works of flash creative nonfiction (750 words or less) per submission period. Please send all stories in one document. Fiction submissions should be no longer than 6,000 words. ﻿We are especially interested in interviews of Florida writers and artists, although we're open to almost any Florida-related subject. Please query us about the interview subject first via email. Do you accept genre fiction? 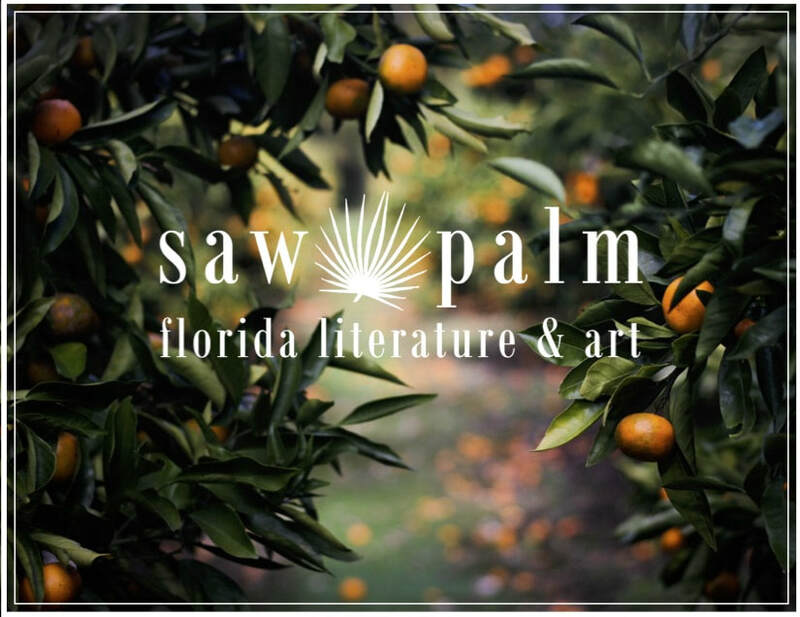 We are not opposed to genre fiction, provided it is well-written and connected to Florida. We are particularly interested in historical fiction set in the state. Graduate students in the MFA program at USF who have applied for editorial positions and been vetted by our advisory editor. Contributors receive two copies of the issue they appear in. We are a small non-profit and so cannot offer cash payments. My manuscript is just over 6000 words, can I submit it anyway? Check with us first by sending us an email. I'm a current USF student or faculty member. Can I submit to the journal? Yes and no. Current or recent USF students and faculty may not submit creative work to the print journal. However, they are welcome to submit reviews and 500-word pieces for the Places to Stand series, which appear on sawpalm.org.